Versatile and always an eye-catcher. 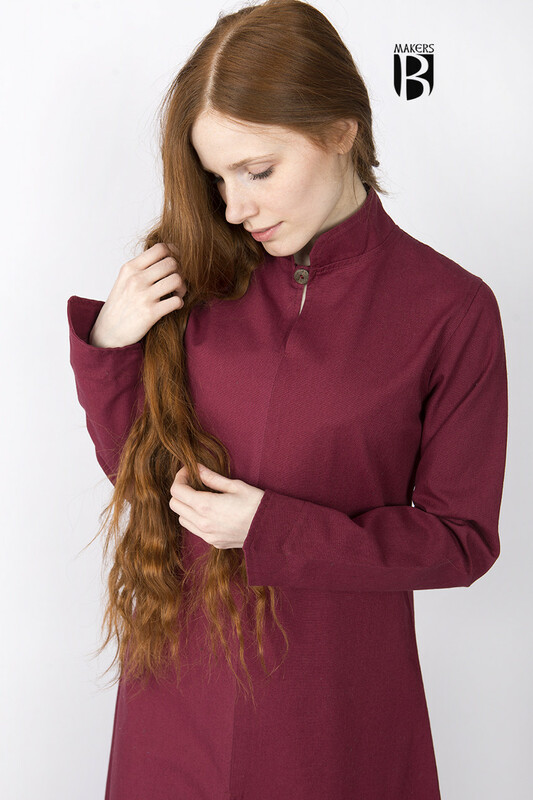 The basic fabric "Ranwen" is not only the elegant heart of the collection, it can also be combined with almost every garment. 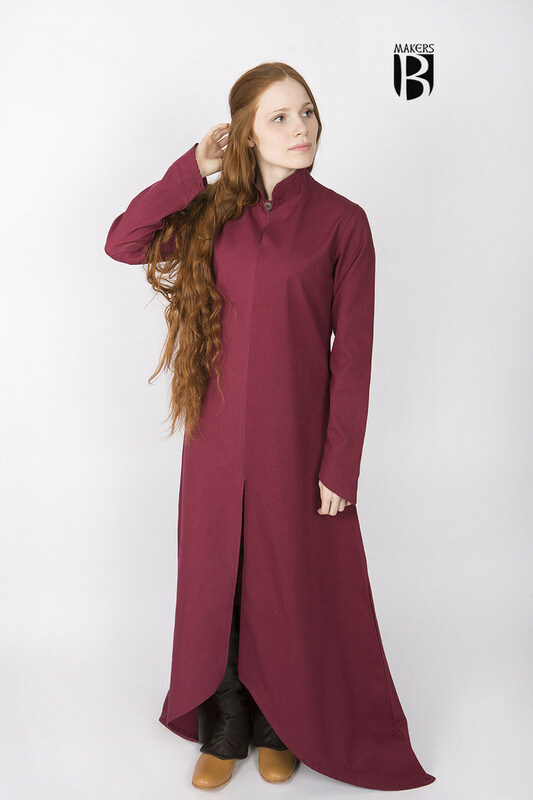 Whether it's pants or skirt, as an under layer for dresses and tunics, or with other items in the collection - "Ranwen", every garment is well-placed. A destinctive-looking garment with plenty of versitlity, including the choice of colours. Plain enough to act as a base layer, but striking in its design to be wore as a statement piece with the right embellishments and accessories. 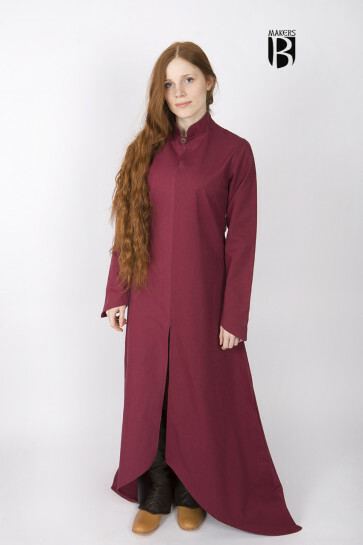 The high collar and short front are perfect for my no-nonsense battle-ready Priestess! The quality is great. The thick cotton should mean its fairly hard wearing and it has helped keep the chill at bay during the winter, but is not stifling when indoors. 1) The cuffs are slightly pointed, adding a subtle but beautiful touch of fantasy appearance. If the wearer is so inclined, a bit of trim could easily be added to extentuate this detail and customise it to the character. 2) It comes with a spare button for the one at the neck. Very handy! 3) The garment is long at the back; possibly even designed to touch the ground. I am 157cm tall and bought the medium-size underdress. It measures 142cm from the base of the collar (approximately shoulder height) straight down the back to the hem. When I wear mine, it brushes the ground by 2-3cm. Just something to be aware of if you are considering a very active character; it's possible to step on the hem if you're quite short like me.